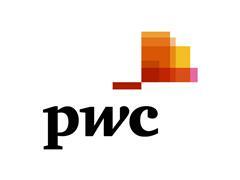 Shaky consumer confidence, stiff competition and increased transparency offered by the internet are forcing organisations to reappraise how they price their goods and services, says a new report from PwC, "The power of pricing". The survey of over 500 companies worldwide highlights some significant and also surprising trends in how companies set prices. More than 40% of respondents consider pricing to be the most effective way of growing profitability. However, only 26% believe increased prices will drive profits over the next three years while a significant minority (17%) believe that profits will decline along with their prices.